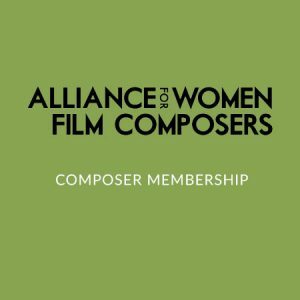 This membership lists female-identifying composers in the AFWC directory and grants access to events, workshops, newsletters, festival brunches at Sundance and Tribeca, and networking opportunities. This membership is for non-female identifying composers, industry professionals and other individuals who wish to support the AWFC. Supporting Members are listed on the AWFC website and granted access to numerous events, newsletters, workshops and networking opportunities.